Gutter Knight Gutter Guard – Brisbane Gutter Guard can install gutter guard on a variety of roofs and building types. We do lowset homes, 2 storey homes and unusual architectural homes that have a variety of roof heights. 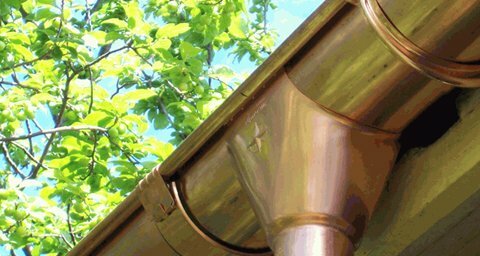 When quoting Gutter Knight Gutter Guard – Brisbane Gutter Guard will suggest the best material for you job taking into consideration the surrounding area foliage and the roof type and if you have a water tank or not. Another benefit that Gutter Knight Gutter Guard – Brisbane Gutter Guard offers is that the mesh is powder coated to suit the colour of your roof. Gutter Knight Gutter Guard – Brisbane Gutter Guard covers a complete range of tiled roofs including terracotta, concrete, masonry and metal tiles like Decramastic. The mesh is installed right up under the base of the second tile and secured to the gutter edge which gives the gutter guard mesh a downward slope over the outside edge of your gutters. This makes it easier for leaves and debris to slide off or be blown off the roof. Gutter Knight Gutter Guard – Brisbane Gutter Guard covers a complete range of metal style roofs including Corrugated, Trimdek, bullnose (on verandas) and other types of metal roofing. The mesh is secured to the roof using ‘saddles’ that are held in place with screws which places downward pressure on the gutter guard mesh keeping it secure and tight against the roof so leaves and debris can not get under. The other side of the gutter guard is secured to the gutter edge forming an enclosed area that easily lets water in but keeps leaves and debris out as they simply slide off or blow off with the wind.